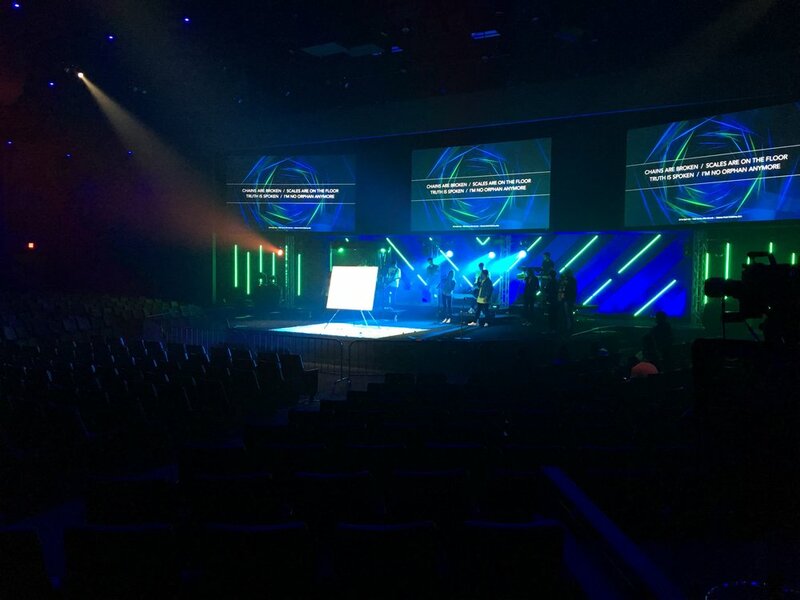 It was a Friday night at Valley Creek Church and there was a noticeable energy in the room. The lighting was electric and the UV neon lights created a really awesome environment. When the worship started everyone was in it. The joy and excitement was contagious and you couldn’t help but smile and thank Jesus during that moment. Looking around I could see almost the entire room with their arms raised in reckless abandon, crying out to God along with the music. It was beautiful. The anticipation of going on stage had my stomach in knots. I’ve done these live paintings hundreds of times, but this night was big and God was moving. The Holy Spirit filled the worship center and there was no doubt about that. I always pray that God will work out the timing of the live music with the painting for maximum impact to create a moment like none other and He did not disappoint. I flipped the speed painting just as the band hit the crescendo and the 1,000 students erupted with a thunderous applause. Praise Jesus. I've never done anything in my life that was more fulfilling than speed painting Jesus live on stage. It's a thrill, it's scary, it's humbling, nerve-racking, challenging, exciting, inspirational and fun. I couldn't ask for more and I am grateful for every opportunity that God brings my way. I will continue to bring Him all the glory and honor.